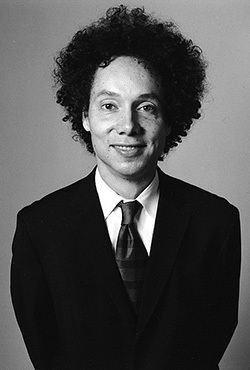 As part of our Leadership Hall of Fame series, we continue our fresh look at The Tipping Point with an interview of author Malcolm Gladwell. What was the impetus for you to write The Tipping Point? I got interested in the dramatic crime decrease in New York in the mid-1990s. That was right when I moved to the city for the first time. And I was stunned at how New York went from a place that everyone thought of as dangerous to a place that seemed as safe as any major city in the country within the space of such a short time. It made me wonder if there wasn’t something that could be learned from that experience that could be applied to other social phenomena. I have no idea! When I wrote it, my only real hope was that my mother would like it! I’ve considered all my books to be very private, idiosyncratic projects designed to make me happy. And I’m forever surprised when they make other people happy too. In the years since the book’s release, have you reexamined the roles of connectors, mavens, and salesmen? I haven’t. I haven’t even read Tipping Point since I wrote it. I have a rule about never going back to old topics. My sense is, though, that the Internet has probably magnified the social power of those three types several times over. I think the idea of social asymmetries–that there might be a small number of people with disproportionate social power–has influenced a fair number of marketers. My sense is, though, that my books help people describe and understand the things that they were already doing–as opposed to radically change people’s behavior. I’m not a storyteller and a synthesizer. I’m not a real innovator. How has your writing process changed from Tipping Point to Outliers? Each book I’ve written has been more fun to write. I suppose that’s because I’m more confident that things will work out. Also, when I was writing Blink, I realized that I didn’t have to write at my desk and I discovered coffee shops–and somehow (for reasons I don’t entirely understand) that’s made all the difference in the world. But the basic principles of research are the same–that is, I still don’t have any basic principles. I just talk to lots of people and hang around libraries and follow my nose and hope I come up with something interesting. The best books always give us an opportunity to organize our experiences–to take what we know and give it shape and meaning and context. I’ve always said that we are all experience-rich and theory-poor. And to me the point of business books is to remedy that problem. Well, the quick answer is just to list any three Michael Lewis books, taken at random. He’s really the finest writer of narrative non-fiction out there. Big Short? Liar’s Poker? Moneyball? It really doesn’t matter which one. They are all brilliant. I’d add The Innovator’s Dilemma by Clayton Christensen to the list, though. I came very late to that book. I only read it six months ago. And I haven’t stopped thinking of it ever since. Read more from The Tipping Point and our Leadership Hall of Fame. 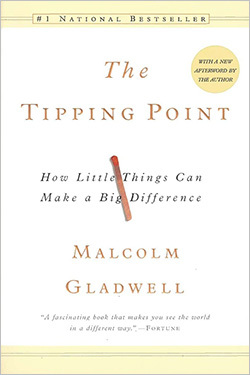 Malcolm Gladwell is the author of The Tipping Point: How Little Things Can Make a Big Difference, published by Little, Brown and Company.